Following the passing of the America Invents Act and the U.S. Supreme Court’s decision in Alice v. CLS Bank, there was a need to make clear the implications for patent holders and prosecutors. 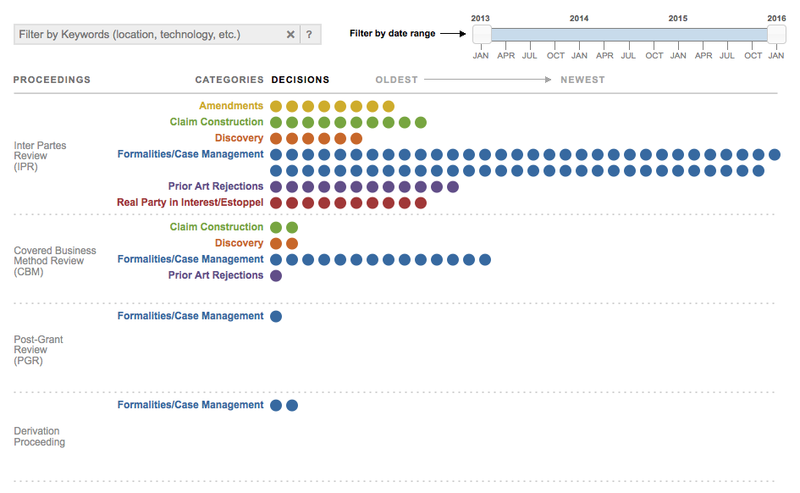 We worked with Silicon Valley law firm Fenwick & West to develop a way to visualize ongoing patent cases, allowing for frequent updates as new decisions came down. 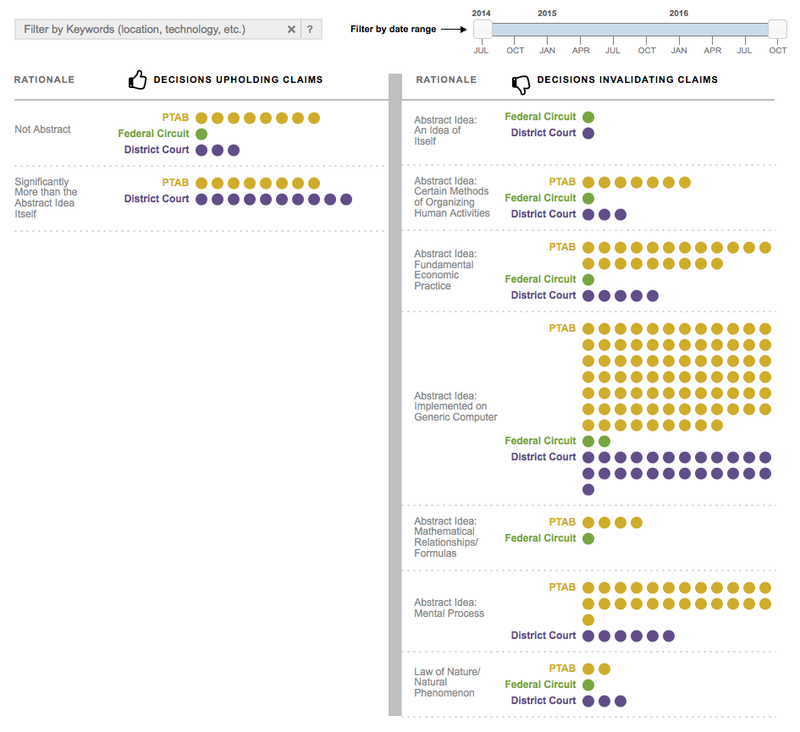 Both projects were designed by Threestory Studio and executed in d3.js by Fenwick’s developers. The first project looks at Post-Grant Decisions at the Patent Trial and Appeal Board. Cases are organized by the type of proceeding and issue category, and are filterable by date or other keyword. The second attempts to decode decisions by district courts, the Federal Circuit, and the U.S. Patent and Trademark office that were affected by the Supreme Court’s landmark decision.